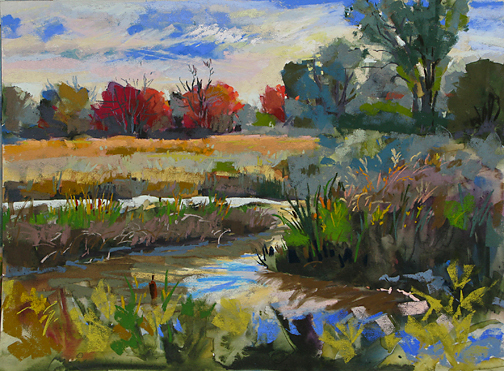 " Ascendency of Fall: October " Pastel on Wallis sandpaper, original 12X16 inches. Painting en plein air & studio, a life-long series of “Jewels in the Landscape” ... compelling insights into intimate nature. © 2008 Sandra Davison The Pastelfish All rights reserved. Site last updated June 2008.